Posted on December 12, 2018 by Smorgasbord - Variety is the Spice of Life. We are now over two thirds of the way through the authors in the Cafe and Bookstore with plenty more books that would make great Christmas gifts. I grew up with a father who loved Westerns, even more so if they had John Wayne in them. They are not making as many these days in Hollywood, but don’t worry because Andrew Joyce has a series that would satisfy the cowboy in all of us! Andrew Joyce is a fabulous storyteller. After reading his second novel, Molly Lee, I knew I had to read the first. Serendipitously, I was gifted the book and was thoroughly entertained once again. Action-packed, chock-full of adventure, and easy to read, Redemption is a book that the reader will find difficult to put down. Huck Finn doesn’t seek notoriety, but from Missouri to Mexico to the Colorado Territory, he finds himself amidst situations that eventually give rise to fame. And even though he doesn’t fancy himself a lawman, destiny has a badge with his name on it that he wears for many years. Grit and an iron will provide him the fortitude necessary to establish order in many a lawless town. But he also has a kind and just heart that intermittently reveals itself without emphasis or fanfare. Tom Sawyer has an unrelenting itch to sail to China. But when the journey proves longer and more arduous than anticipated, he jumps ship and ends up in Hawaii, where he falls in love and begins to settle down. But as it was for Huck, so it is for Tom; destiny has designated him a different fate. A series of misfortunes compels Tom to go stateside and once again partner with his old pal, Huck. The two men team up with Jed Bevins, a young and now infamous man they’d met early on. Jed sets out to avenge the deaths of his adopted Pawnee tribe and, over time, garners fame as a gunslinger. However, the notoriety is ill-placed, because his intention is to kill only those who slaughtered his people. And, yes, destiny intervenes for Jed as well; the title “Laramie Kid” sticks and will not be dismissed. These three men join forces to fight a corruptive and treacherous power in the town of Redemption. As tempers flare and bullets fly, farmers and ranchers find common ground, adding a sensational element to the spectacular showdown. For those who enjoy a well-written adventure that trumpets the victory of good over evil, Redemption has it all. You won’t be disappointed. Now time for another series that would make a perfect gift- starting with the mystery, What Happened in Vienna Jack?, by Daniel Kemp. A robbery in London’s Charing Cross Road. The murder of a catholic priest at the end of World War Two. A genocide in Namibia. The discovery of the remains of Hitler’s personal secretary. Something connects all these things, and former British spy Jack Price knows the answer. He’s willing to die to keep the secret, but the problem is… he’s not the only one who knows. It’s the lies that are not heard, but kept as secrets, that own us all. Deep in the world of espionage, lies and deception, how far is Jack willing to go to fulfill his mission? Truth and lies, lies and truth and which is which? Can the truth be hidden in a lie and a lie be veiled in the truth?Suppose there are secrets too? Just the knowledge that something is hidden, well, reality can become a little blurred and obscure. When Patrick West meets Jack Prior in Daniel Kemp’s “What happened in Vienna Jack?” an investigation into police corruption in Soho leads, indirectly, to what could become a world ending catastrophe. “What Happened in Vienna Jack?” Is a thriller, a tale of espionage and deceit, a story where a turn of reality can change with the turn of a page. I am constantly amazed by Daniel Kemp’s ability to not only keep control over a vast array of characters but, simultaneously, weave an erudite absorbing narrative that leaves me confounded. It was difficult to harness what I was reading. Daniel Kemp is meticulous in his research and extremely knowledgeable about Europe’s political landscape of 1933-1970. In November of 1937 a violation, somewhere in Europe and prior to WW2, precipitates the unfolding narrative. Like any violation it is cruel, humiliating…just by reading about it, I felt dirty. The violation involves a prominent Nazi and a member of the British monarchy…see what I mean about secrets? This secret is so controversial (and “controversial” here is a massive understatement) that it is hidden, even to the point of murder, for fear of the secret being divulged. It’s an adroit piece of writing. When I’ve posted this review I shall be reading “What Happened in Vienna Jack?” again. I think that most lovers of the thriller genre will feel the same. I’m not ready to leave either the characters, or this compulsive, gripping narrative…I’ll linger over every paragraph. And I’m pleased to learn that this book is just part one of a book series. If I haven’t made it clear enough, this book is highly recommended. Now time to revisit the town created by Teagan Riordain Geneviene in the second book of her series Atonement in Bloom which was released in October this year. “Atonement in Bloom” continues the urban fantasy from the point where “Atonement, Tennessee” ended.The quaint town was stranger than Ralda Lawton could have imagined. The local population included supernatural beings of the fae variety. Although only she and a few others knew about that.In a past life, Ralda ― Esmeralda had been involved in something with those supernaturals and it had carried into her present life. In Atonement, Tennessee, that almost got her killed. Now she has new problems, and new supes to complicate matters.Atonement in Bloom continues the misadventures of Ralda, her friends, and neighbors in the small (but far from peaceful) town of Atonement, Tennessee. Her old house and cemetery are still there, along with Lilith the cat, quirky townsfolk, and assorted supernaturals.Now Lilith the calico sniffs out a strange beast.Fae foolery backfires. 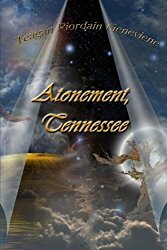 A friend is abducted.On a cold December day, Atonement, Tennessee comes into bloom. When pigs fly… Even for Tennessee, the little town of Atonement is different. Of course Esmeralda—Ralda to her friends and, well, everybody except a few flying pigs and misinformed fae—already knew that. Her (now missing) next door neighbor occasionally has giant black wings, the handsome local florist does magic but then makes people forget it, and don’t even get her started on those glowing pigs with wings. But what really has Ralda worried is the house that just appeared, the same one everyone else seems to think has been there forever. Then her worry turns to fury when fae magic takes a decidedly dark turn, disturbing the balance of winter. Flowers appear in the snow, and further manifestations endanger Ralda’s friends. When one of them is attacked and another disappears, Ralda realizes it’s up to her to save Atonement. She just wishes she knew how to do it when all those things that go bump in the night turn out to be real. I absolutely love the setting. Small towns in the South are already so full of idiosyncratic characters and moody locations that they fit perfectly into a southern gothic setting. In true gothic style, Ralda lives in Sunhold, a huge wreck of a mansion with its own graveyard. Her new neighbor, the owner of the mysteriously appearing house, is properly dapper and charming, but his eyes give him away. Add in an antique silver locket, attractive yet mysterious men, supernatural beings, a sheriff who speaks in Shakespeare quotes, and one small cat who seems to know more about the situation than anyone else, and you have it: a seamless southern gothic paranormal mystery genre mashup. Then if you stir in a sense of fun and humor that includes flying pigs and even a grocery store, Hogley Wogley, that echoes the South’s iconic Piggly Wiggly, and you have a recipe for a great addition to the Atonement Tennessee’s story. I recommend this book to readers who enjoy a bit of Southern wit and humor with their tales of magical mystery. But Atonement in Bloom is definitely not a standalone. The large number of characters and prior events mean you should treat yourself to the first book, Atonement Tennessee. Although both books’ story arcs are nicely resolved, there are so many questions remaining. What really brought Ralda to Atonement? What are the supernaturals atoning for? Of course, Ralda’s cat Lilith probably knows the answers, but since she’s not talking, the rest of us will have to wait for the next installment of Atonement’s story. And last but by no means least today another writere with a second book released in a series, award- winning author Linda G. Hill, and her modern-day Gothic romance series, The Magician’s Blood: A Paranormal Romance- The Great Dagmaru Book Two. Thank you for dropping in today and I am sure there was a book or two that might have caught your eye. Posted on October 21, 2018 by Smorgasbord - Variety is the Spice of Life. Today I am featuring the latest release from Teagan Riordain Geneviene which has been long awaited by her fans. Atonement in Bloom. Teagan Ríordáin Geneviene lives in a major east coast city, but she calls the desert southwest home. She longs to return to those magical lands. Her work is colored by her experiences from living in the southern states and the southwest. 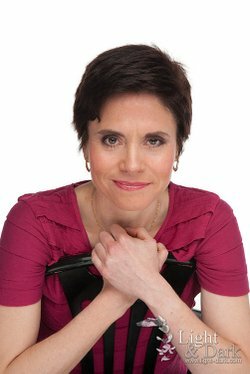 Teagan most often writes in the fantasy genre, but she also writes cozy mysteries. 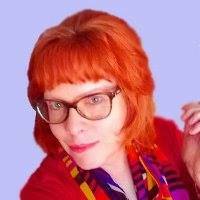 Her blog “Teagan’s Books” contains serial stories written according to “things” from viewers. Posted on October 7, 2018 by Smorgasbord - Variety is the Spice of Life. The first snort (“Robin’s Great Chase”) is a prequel to all the Atonement stories. The story-line comes into play in the next novel, Atonement in Bloom, where the glowing pigs snuffle, snort, and grunt into action. The glowing pigs are one small part of the quirky, supernatural town of Atonement, TN. However, they are the most likely to steal your heart. My review for The Glowing Pigs. This book is a short but delightful appetizer and prequel to Atonement, Tennessee. We get to meet Deme and Honeybell, two of the glowing pigs who live in the woods around Atonement. Their mistress is the beautiful Goewin, whose very sight, had the younger version of Robin Warden smitten for life. These mischievous little pigs… and I hold Deme entirely responsible as the ring leader, are always up for adventure, and over six stories we get to enjoy their escapades. We also get to meet some of the main characters from Atonement, and discover their reasons for coming to this special town. Including the much younger Marge Tipton who becomes the local diner owner in the novel. As a bonus Teagan Geneviene shares a story from her sequel, Atonement in Bloom, out later this year. When Glowing Pigs Fly is in honour of National Pig Day, when the little glowing creatures get to play with humans officially, rather than the sneaky visitations by Deme and Honeybell the rest of the year. 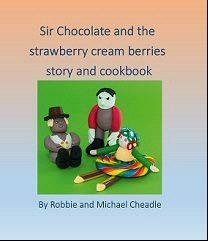 Children and adults alike would enjoy this sweet collection of stories. And here is the cover reveal for Atonement in Bloom coming soon to an Amazon near you…..
Sally’s Cafe and Bookstore – Meet the #Book #Reviewers – Chuck Jackson for Paul Kalanithi, Olga Nunez Miret for Guillermo Stitch and Robbie Cheadle for Teagan Riordain Geneviene. Posted on June 6, 2018 by Smorgasbord - Variety is the Spice of Life. Welcome to the post where I celebrate those who take the time to review books that we write. The other posts are usually focused on the authors and their reviews, so you are most welcome to contact me at sally.cronin@moyhill.com with a link to your review on your blog or on Amazon. I will make every effort to feature you.. thanks Sally. The first author with a review of a book that sounds amazing is Chuck Jackson with his views on Finalist for the Pulitzer – When Breath Becomes Air by Dr. Paul Kalanithi. Here is an extract from Chuck’s post and I do recommend that you click the link to read more. When I studied and enhanced my writing, I found successful writers’ advice was to expand my reading of books. I always have loved reading books, but it had been for relaxation and enjoyment. An escapism from career stress and life’s challenges. Now I have added another aspect to my reading. I am learning techniques, styles, and methods to gain writing credibility and reader’s attention. If you are an avid reader, periodically you come across a book that talks to your psyche and leaves you emotionally moved. Sometimes it will be joyful, anger, or sadness. Whatever the emotion, it stays with you for days or months. I finished such a book and I want to share my feelings. If you haven’t read it yet, I wholehearted recommend you put it on your must-read list. When Breath Becomes Air details Dr. Paul Kalanithi’s life as a neurosurgeon and his fight against advanced lung cancer. Yet it goes beyond his struggles, it challenges us to look at our own mortality and contemplate the way we look at our life. Does our life have the significance that will continue after we are gone? Did we spend our days, months and years on meaningless self-serving ambitions? An extract from Olga’s Review for the book.. please follow the link to read the rest..
Today I bring you a book that is due for release early next month (the first of July) but is already available in preorder, and as there is a Goodreads giveaway you can access here, if you live in the USA, I thought I’d share it ahead of time, so you can be prepared. I hope to read more books by this new author, and I wonder if there will be more books about this very peculiar world he introduces us to in this novella. 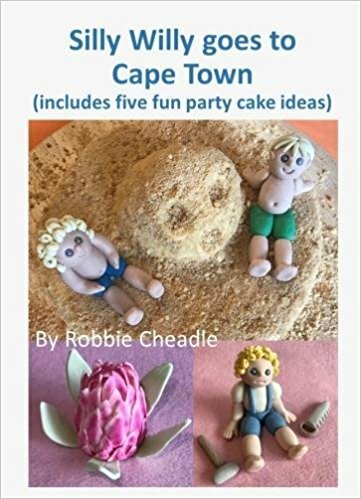 I write this review as a member of Rosie’s Book Review Team (author, check here if you’re looking for reviews) and thank Rosie and the author for providing me an ARC copy of this novella, which I freely chose to review. It is difficult to describe the reading experience of Literature. I have read reviews comparing it to noir novels (absolutely, especially the voice of the characters and some of the situations), to Fahrenheit 451 (inevitable due to the plot, where fiction has been banned and nobody can possess or read books) and 1984 (although we don’t get a lot of detail of the way the world is being run, the sense of claustrophobia and continuous surveillance, and the way terrorism is defined are definitely there), and even Blade Runner (perhaps, although Literature is far less detailed and much more humorous). I did think about all of those while I read it, is true, although it is a pretty different experience to all of them. Billy Stringer is a mixture of the reluctant hero and the looser/anti-hero type. The novella shares only one day of his life, but, what a day! Let’s say it starts badly (things hadn’t been going right for Billy for a while at the point when we meet him) and it goes downhill from there. The story is told in the third-person but solely from Billy’s point of view, and we are thrown right in. There is no world-building or background information. We just share in Billy’s experiences from the start, and although he evidently knows the era better than we do, he is far from an expert when it comes to the actual topic he is supposed to cover for his newspaper that day. He is a sports journalist covering an important item of news about a technological/transportation innovation. We share in his confusion and easily identify with him. Apart from the action, he is involved in, which increases exponentially as the day moves on, there are also flashbacks of his past. There is his failed love story, his friendship with his girlfriend’s brother, and his love for books. Olga Nunez Miret is also in the Cafe and Bookstore. 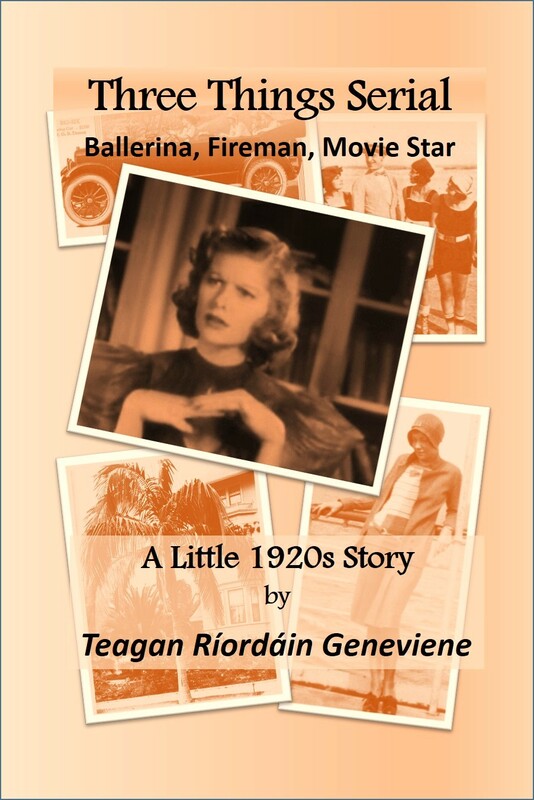 The third reviewer today is Robbie Cheadle who has enjoyed The Three Things Serial Story: A Little 1920s Story by Teagan Riordain Geneviene. Here is an extract from Robbie’s post. Teagan Geneviene is an amazing writer and has an incredible blog where she shares highly entertaining episodes of her latest “pantser” story. 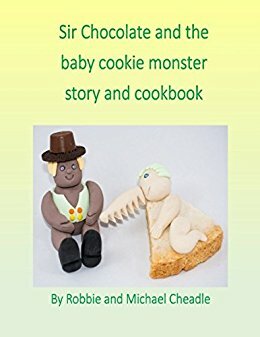 Here is a link to a recap of her latest story, Hullaba-lulu https://teagansbooks.com/2018/06/02/hullaba-review-and-review-hullaba-lulu-9-1/. The Three Things Serial Story: A little 1920’s story has a little bit of everything in it – a touch of a romance or two, stolen goods, a kidnapping, a gang of ruthless men and a satisfactory ending. Teagan manages to achieve all of this in a well written and interesting way based on three word prompts provided by readers of her blog each week. I am frankly quite incredulous that a writer can weave three prompts into each episode and still come out with a story that makes perfect sense, entertains and flows. This approach has the added appeal of resulting in quite a unique story line. Posted on October 5, 2017 by Smorgasbord - Variety is the Spice of Life. We have a full house today with four authors celebrating recent reviews for their work.. fantastic. One of the darkest times in human history was the insane design and execution to rid the world of Jews and “undesirables.” At the hands of the powerful evil madman Adolf Hitler, families were ripped apart and millions were slaughtered. Persecution, torture, devastation, and enduring the unthinkable remained for those who lived. This is the story of one woman who lived to tell her story. This is a narrative of how a young beautiful teenager, Helen Stein, and her family were torn asunder, ultimately bringing her to Auschwitz. It was there she suffered heinous indignity at the hands of the SS. It was also there, in that death camp, she encountered compassion, selfless acts of kindness, and friendship. One of the latest reviews for the book. 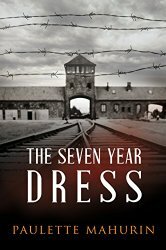 The story of the Seven Year Dress is told through Jewish holocaust victim and survivor, Helen, as she shares her story with her new tenant about the degradation, starvation and brutality she witnessed and suffered from the Nazis. Mahurin does a riveting job of capturing the climate of Nazi Germany just before the war broke out, depicting Helen and her family, and her one non Jewish friend who risked his own life to save Helen and her family from being captured and taken to Auschwitz concentration camp. We’re taken right into the emotions of Helen’s plight. Humiliation, inhumanity, fear and uncertainty of living one more day became the new life for Helen, once a seemingly happy, middle-class girl becoming stripped of everything she had, knew and loved from her former life before that fateful night in November 1938. This heart-wrenching tale of destruction and devastation and an unfaltering fight to survive will have you eager to keep reading, despite the unblemished truths of the violence and descriptions of what Helen witnessed and endured. 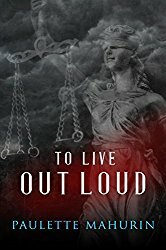 I applaud Mahurin for writing this telling of a demoralizing tale of the human spirit of those who fought to survive despite all odds against them – heroic efforts to remain alive despite having no reason left to live except the desire to live. I couldn’t stop reading this book and eagerly awaited any opportunity I’d get to pick it up again to learn how Helen survived. It’s also a good reminder about how easily a country can become brainwashed by false propaganda. I’m am looking forward to reading more books by this author. If you enjoy reading historical fiction, I highly recommend this book and author. 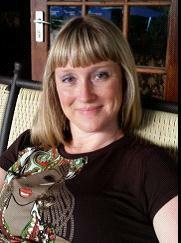 The next author to have received a great review recently is Teagan Riordain Geneviene with her latest release Murder at the Bijou. I’m so glad this was released as novel so I can enjoy the continuity and appreciate just how well composed this ‘fragmented’ story actually is. Also by Teagan Riordain Geneviene. What a great time it was…but not for everyone. These boys are from a very poor family. Their Dad is a big drinker. When Willie has an accident on his bike, Shawn turns to one of the nice christian ladies from church. But, like most of the town, she looks down her nose at the boys because of their social status. Although she does help little Willie, she is anything but kind. Pure Trash is well written and a great tease. I can’t wait to read the full book and see how the sweet little guys fare. To round off this packed post today, Jena C. Henry with a recent review for the second book in The Golden Age of Charlie: RSVP. I love the outset of this novel and the insights into the daily life of Charli and Pud. What an endearing couple! But then again .. Charli is the main protagonist and she has got everything her heart desires: two healthy children, a loving husband, no financial problems or health issues to worry about… When she sees a car she falls in love with, she just goes and buys it. When she finds a project to work on, the old photographs in the attic, she buys the equipment she needs to digitalise them. I wanted to shake Charli and tell her to wake up and realise that she has got so much – and that just like her husband, she should also have prepared for his retirement. Sometimes, I felt there was too much detail in the descriptions. Charli’s best trait is her perseverance and love for her family. I was touched by their adventure (Pud’s idea!) and the way they reach out to everyone in the family, young and old. Posted on August 21, 2017 by Smorgasbord - Variety is the Spice of Life. Welcome to the first of the update for authors in the Cafe and Bookstore this week and we have a full house… you might need a cup of coffee and a few minutes to enjoy. Our first author with news is Luanne Castle who is celebrating the release of her second book Kin Types. Kin Types is a collection of lyric poetry, prose poetry, and flash prose that imaginatively retells the lives of private individuals from previous generations. Using family history research, the writer has reconstructed the stories of women and men from Michigan to Illinois to the Netherlands. Read together, the pieces create a history of women dealing with infant mortality, vanity, housewife skills, divorce, secret abortion, the artist versus mother dilemma, mysterious death, wife beating, and a brave heroine saving a family’s home. Luanne Castle, the author of the wonderful genealogy blog The Family Kalamazoo, has done just that in her new remarkable collection of prose-poems, Kin Types (Finishing Line Press, 2017). In these clear and beautifully written poems, she has brought to life the people she has researched and studied for many years. Collectively, her poems evoke the hard and often bitter lives of her ancestors while also piercing beneath the surfaces of those hard lives to uncover the love and the beauty that each one of these people experienced. In these few simple words, Castle uses the image of strawberries sliced by a caring wife and mother to remind the reader that this is a loving family woman who is threatened by a deadly fire. It evokes birth and life amidst the threat of death and destruction. He laughed, I like my houses like apples. From these few words and the images created, you can imagine the sweetness between these two people. Once again, fruit becomes a metaphor for love, for life, for birth. In other poems Castle describes the fears of a dying mother that her children will be separated and sent to orphanages where “Teachers like scavengers pick at the remains of my family,” the anxiety of a mother as her teenage daughter gives birth on the kitchen table, the joy and sadness of a mother seeing in the face of her young son the face of her now deceased brother, and the guilt and love shared by another family whose lives are torn apart because of a fire in the family home. These are just a few of the stories Castle tells in this book of poetry. Each poem made my heart ache for the lives of these people—people I never knew, people Castle herself never knew, but whom she has given new life through her words. If you also have ever imagined what life was like for your ancestors, you will enjoy this wonderful collection. In fact, anyone—whether interested in family history or not—should read this book for the beauty of its language and for the light it sheds on our shared humanity. Another new book to hit the shelves this week is Three Ingredients- I – Murder at the Bijou by Teagan Riordain Geneviene. One of the excellent reviews for Three Things Serial – A Little 1920s Story. Are you ready to step back into the 1920’s to join Paisley Idelle Peabody, in solving a mystery? Hurry up and dig your best suit out of the attic and grab your sequined flapper dress because you are in for a fun time. It’s the real cat’s meow! The tale unfolds quickly, much like the old black and white movies from the period. You get right into the story and meet the characters, who are likable and believable as they comfortably fit into the Roaring Twenties time frame with their language and mannerisms. There is a mystery to be solved, and I liked the way the story evolved. There were even some surprises along the way. At first, I read a couple chapters a night. Finally, I couldn’t wait any longer, so I finished the book off. I had to find out what became of the little old white-haired lady! This was a fun and engaging trip back into the flapper era, and I loved it! And now we have an offer for you from Chuck Jackson whose memoir What Did I Do? was recently featured in the New Book on the Shelves Promotion. The book will be 99c to download for one week from 18th August. About What Did I Do? What Did I Do? is Chuck Jackson’s true recollection of the abuse he received from both his parents. It is a story where he spent years struggling to please them without succeeding. It is a story where they told him he was irredeemable and unworthy of being their son. When he saw love and happiness in other families, he wondered why not his. Chuck came out of the darkness to expound on the stigma attached to child abuse. He admitted to the affects of shame, anger, guilt, and depression that he and so many experience. He tells the story of survival where he felt invisible. Follow him where he sought a warm touch and a kind word of praise. Follow his desperation for love from anyone. Follow Chuck’s story and help answer his question, What Did I Do? One of the recent reviews for What Did I Do? A wonderfully written true story of the cruelty, physically and emotionally, that a parent can inflict on a child. Everyone with children, or thinking of having children, should read and realize that everyone of your actions has consequences. Every child living in an abusive relationship should read, if for no other reason, then to know that are people that love you and are willing to help you once you allow yourself to break your vow of silence. A true story of survival and the strength of the human spirit at the hand of treachery. I highly recommend to one and all. 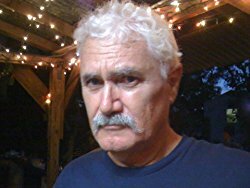 The final update is for Paul Cude and a great review for the third book in his Bentwhistle Dragon series – A Twisted Prophecy. Amid turmoil surrounding devastating attacks across the world, the dragon domain faces the planet’s greatest fear: global terrorism by an unknown force of magic users. Against this backdrop of fear, the friends’ relief at having Richie back from the jaws of death is quickly tempered when they discover the price she has paid and exactly what she will have to forfeit. With Manson’s deadly scheme in full swing, events quickly turn from bad to worse. An army of nagas controlled by the threat to their king, help the evil dragon storm the kingdom, capturing Peter, Tank and Flash in the process. With no help on the horizon and the dragons below ground neutralised, how will the threat be stopped? Will the white dragon turn out to be their saviour, or will a fierce lacrosse match prove to be the turning point for a rescue so unconventional, nobody could ever see it coming? With a hoard of treasure and more magical artefacts than a witch’s kitchen, you’ll have to read on to find out if everything will turn out all white! Makes a great series in print but would make an even better series on the silver screen! Whatever flaws we might identify or frustrations we might feel are trivial in comparison to a reader’s pure joy in losing himself/herself in a narrative. When all the elements come together: an intriguing plot, thoughtful, profound themes, complex, troubling, characters, and language that make us shudder for its honesty, clarity, and confidence; we gratefully set all analysis aside and give ourselves up to the sheer magic of a great book. And for me, Bentwhistle the Dragon in A Twisted Prophecy is such a book. The story had every element a good story should have. An exciting plot, attention to detail, but best of all fleshed out, well-written and well-rounded character development. There’s an abundance of well illustrated scenes that really make you feel like you are right there in the story, and that’s something I really look for in a good book. This is book 3 of 3 in the series, so it’s well worth checking out book 1 Bentwhistle the Dragon in A Threat from the Past and book 2 Bentwhistle the Dragon in A Chilling Revelation to see what the author has created here. I couldn’t recommend it enough. If that’s not enough to whet your appetite, I don’t know what will. But if you want to find out what happens next, you’ll just have to turn the pages yourself to find out! This captivating and commendable work had me immersed from the beginning. The story flows from scene to scene with ease, and the author shows exceptional skill when it comes to storytelling. There are attention-grabbing moments in this page turner that will take the reader on a spellbinding journey! It’s one of those stories that come along once in awhile that makes you want to read it non-stop until you get to the end. I’m giving nothing further away here. And this, I hope, will only add to the mystery and enjoyment for the reader! I’ll certainly be looking forward to reading more from Paul Cude in the future. I would definitely recommend this book. Five stars from me. Posted on July 13, 2017 by Smorgasbord - Variety is the Spice of Life. The first book to feature today is Blood Orange by Don Massenzio. 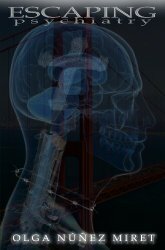 The book is in audio as well as text formats and the review is for the audio version. Blood Orange is a terrorism thriller set in today’s high tension world of foreign and domestic threats against soft targets. The story begins on the night of the biggest game in men’s college basketball. Just as the two rivals are squaring off in the quest to crown a champion, tragedy strikes. A nation mourns as a team of elite specialists searches for those responsible. 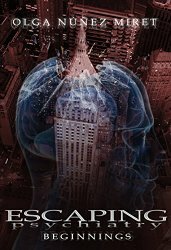 Follow Navy Officer Brad Rafferty and his team through the twists and turns of this terrorism thriller to see if you can determine who is good and who is evil. I listened to the audio book of Blood Orange and must say, right up front, that the narrator did an excellent job. I loved this book. It started off really well for me with an very intriguing event that got you right into the story quickly. The book was fast paced and full of action and I though the twists and turns were very good. The book ended up going in a direction that I hadn’t anticipated at all but Don Massenzio really tied the pieces together very well at the end. What appealed to me the most about this story is that it is so very possible. As I listened I could just imagine something like this happening and people having to deal with the terrible aftermath of an attack of the nature detailed in the book. I enjoyed the characters, in particular, Navel Officer Brad Rafferty, a man of great integrity and who has experienced one of the worst situations that his job could offer. The main female character was also very intelligent and determined and I appreciated these qualities being highlighted in a female in the US military. That being said, Maria’s character was very realistic and her contribution not feel at all unreasonable. I listed to the whole book in three days which certainly highlights how much I enjoyed it because I am easily distracted from reading, or listening in this case, by work commitments and my own writing. The next author to have received a great review recently is Teagan Riordain Geneviene with her Three Things Serial Novella. 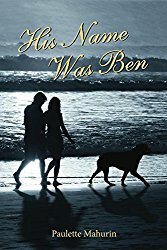 I was the lucky winner of this book as part of a promotion the author run on her blog, Teagan’s Books and I freely chose to review it. I have been a follower of the author’s blog for several years, although I was not following her when she wrote this serial. Teagan Geneviene is a fascinating and versatile writer. 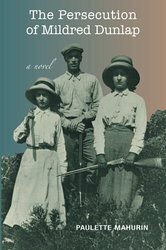 I have read her novel Atonement, Tennessee that is a magical experience, full of finesse, beauty, and attention to detail, evidently the fruit of a lot of thought, careful planning, research, and revision. On the other hand, she is also able to produce her legendary serials. She starts with an idea, or an image, and asks the readers of her blog to contribute certain elements. These might be things (objects, words, concepts), foods, words related to a certain era… She links each one of the posts to the blog of the contributor, and progressively builds up her story, going wherever the three things (foods, objects, or whatevers) and her imagination take her. Although, as I’ve said before, I wasn’t following the author’s blog when she wrote this serial, I have met the main character, Pip in a later serial and I have followed several others, some with familiar characters and a recent one with different characters, and more in the steampunk style. Unsurprisingly, they have a big following and the authors keeps her followers (and I suspect, herself) guessing where the story is going to go next. Many of the readers of her blog had asked her to publish the serials in book format and finally, she obliged. Anybody reading the description of this volume will get a sense of how it came into being. The story has a wonderful sense of time (the jazzy 1920s, brilliant, young, full of flappers, parties, movies, and excitement) and it is told in the first person by Pip, a young woman transplanted from the South to the big city, with a huge imagination and an endless curiosity that gets her involved in all kinds of adventures, including but not limited to: kidnappings, rides in fire trucks, romances, secret coded messages, international intrigues, hidden treasures… Pip also has a wonderful turn of phrase (she never swears, at least not as we understand it, and there is no bad language in the book, although she uses her own expressions that colour her language and readers will come to love) and believes she is a very modern woman, although she is less savvy and cool than she would like to believe. This is a short novel, quick, fast and full of adventures that will delight readers of all ages and will not offend those worried about bad language, erotica or graphic violence. 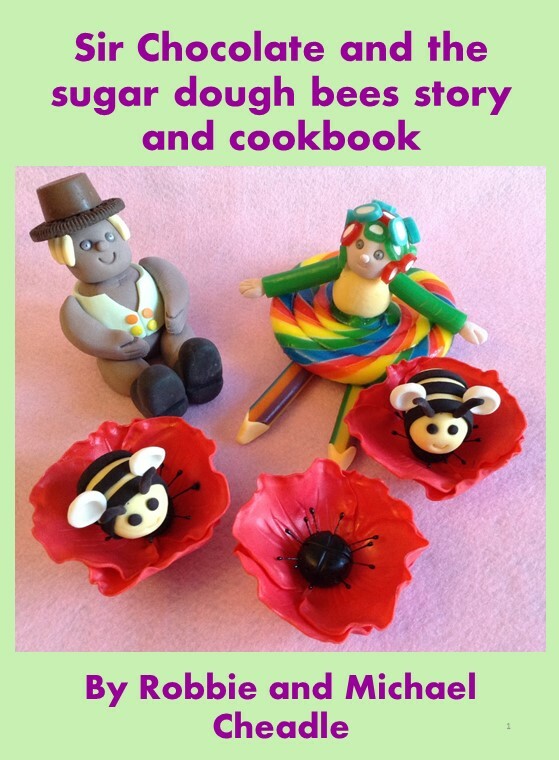 Although in this format readers do not have access to the wonderful images, fruit of the author’s research, which illustrate her blog posts, it does offer continuity and an easier to follow story that will keep readers on their toes. It has elements of historical fiction, of mystery (although not by design, it could fit into the cozy mystery category), and a few touches of romance (or rather, romantic interest). Although this work is too short to fully demonstrate the author’s abilities, it does give the readers a taste of her sense of fun and adventure, and it introduces a character that will become a close friend in series to come. As an exercise, I would suggest you try and put yourselves in the author’s shoes and every time you start to read a new chapter, headed by the three things, try and imagine how you would use those three words to continue the tale. I am sure you’ll be even more amazed at the story. The author is working on turning some of her other serials into books, so if you enjoy this one, there are more delights to come your way. And, do not forget to check Atonement, Tennesse. Recommended to anybody looking for a light, fun, and dynamic story set in the 1920s, particularly those with an adventurous and playful spirit. The next review is for Paul Cude and the second book in his Bentwhistle the Dragon Series – all the books are wearing splendid new covers. Here is Bentwhistle the Dragon in a Chilling Revelation. Blackmail, intrigue, forbidden love interests, a near fatal mantra gone wrong, a highly charged rugby match in which Tank takes a beating, combined with enough laminium ball action to please dragons the world over, stretch the bonds of the dragons’ friendship like never before. New friends and ancient enemies clash as the planet braces itself for one of the most outrageous attacks it has ever seen. 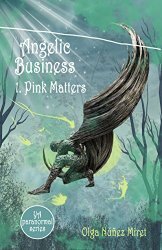 Lost secrets and untold lore come to light, while sinister forces attempt to steal much coveted magic. Explosive exploits, interspersed with a chilly backdrop and unexpected danger at every turn, make for an action-packed, electrifying adventure. ‘Snow way you’ll wanna miss this! Whatever flaws we might identify or frustrations we might feel are trivial in comparison to a reader’s pure joy in losing himself/herself in a narrative. When all the elements come together: an intriguing plot, thoughtful, profound themes, complex, troubling, characters, and language that make us shudder for its honesty, clarity, and confidence; we gratefully set all analysis aside and give ourselves up to the sheer magic of a great book. And for me, Bentwhistle the Dragon in A Chilling Revelation (second book in the series), is such a book. The book synopsis says it all; “Following his harrowing and near death experience at the talons of the evil dragon Manson in ‘A Threat From The Past’, Peter Bentwhistle, the human shaped dragon and reluctant hero, finds himself on the slow path to recovery. I’ll certainly be looking forward to reading more from Paul Cude in the future. For those who are fans of this genre, I would recommend starting with the first book in the series, Bentwhistle the Dragon in A Threat from the Past (Volume 1). Five stars from me. Posted on November 17, 2016 by Smorgasbord - Variety is the Spice of Life. Those of you who follow the very popular writer Teagan Ríordáin Geneviene, will notice that she has been offline recently as she works on various projects. However, I am delighted to say that Teagan has found time to send in one of her features on characters and locations from her book Atonement Tennessee. Something mysterious is happening….. The inventory notes Annie recorded were part of an ancient list, passed down through the Metatron clan. For the most part, the older theitem, the more power it held. The kind of power varied widely. The Mirror of Truth and Justice Most Poetic could show one’s true self. The mirror could be playful, cryptic, devilishly mischievous, or brutally honest. It almost seemed to have a mind of its own. In age and in power, that mirror ranked about mid-way on the inventory list. Annie shuddered to think of the havoc she had known the mirror to wreak. She kept many of the items hidden in plain sight in her antique shop. It had been easy enough to steer Ralda Lawton away from a special quilt. Ralda, the new owner of the Sunhold estate, did not need that star design quilt, but someone else would. However, the brass Bed of Dreams was meant for her. The bed wasn’t strong in power, but it was effective. Annie looked down at the ancient list. Something glowed through several layers of paper. She knew the glow came from the script identifying a very old item. The glowing writing meant an item awakened. Her hands shook as she leafed through the pages to the very beginning of the catalogued inventory. The teapot. Annie took a shuddering breath. It was simple and unassuming looking, but the teapot was the oldest item listed in Annie’s inventory notes. It was also arguably the most powerful. Because of its unique properties the teapot had always been kept separate from the other items. Adelle, Annie’s sister was the teapot’s custodian. It was safely tucked away in the attic of the Victorian house that was Adelle’s tearoom and home. A brew had not been made from that teapot in living memory. But what else could awaken the pot but the alchemy of water, heat, and the right combination of herbs, flowers, and leaves? “No Adelle,” Annie muttered as she put away the ancient ledger. Annie ran out of her shop, the door banging shut behind her. Her platinum hair shone in the moonlight. She skidded around the corner and ran down the town square. Annie stumbled to a stop. She gazed at the night sky in open mouthed astonishment. Above Adelle’s tearoom the sky shimmered in a golden aura. When Annie looked farther up into the sky, she saw an even more astonishing sight. The entire town of Atonement rested unaware beneath five columns of light pillars. The columns of light pulsed through the clouds. With a hand to her chest, Annie continued toward her sister’s home. She fell going up the front porch stairs. As she righted herself, Annie saw that the front door stood open. Then she realized that every door and window in the Victorian house was wide open. “My God, Annie! Are you all right?” Adelle exclaimed as she helped her sister to her feet and guided her inside. Annie allowed her sister to guide her, gasping for breath and shaking with fright, to the kitchen table. There Adelle poured a cup of tea. Annie turned horrified eyes from the teacup to her sister. Annie took a sip of the tea her sister pressed upon her. She took a bite of cake or scone or some baked treat that would ordinarily have been delicious. However it might as well have been cardboard in her mouth. Without even realizing what she was doing Annie crumbled the rest between her fingers never looking at it. She stared blindly out the kitchen window into the darkness, too stunned to process the thousand thoughts in her mind. “Why in heaven’s name would you let the teapot awaken?” Annie finally asked. “It couldn’t be helped. I needed to talk to our grandfather,” Adelle replied. Her sister’s mouth curved to that self-satisfied, cat-with-a-bowl-of-cream smile that Annie knew all too well. “Which grandfather,” Annie asked, closing her eyes and bracing herself for the answer she already knew was coming. Annie groaned and dropped her head to the kitchen table, her pale hair falling to cover her face. Forehead against the polished wood, she rocked her head side to side. Finally she looked up at her raven haired sister. “Tell me this is not happening,” Annie pleaded hoarsely. “It really couldn’t be helped, Annie. I had to consult Enoch,” Adelle said apologetically. “What could possibly be that important?” Annie demanded. The sardonic twist left Adelle’s mouth. She looked into her sister’s eyes, coldly serious. “Atonement, Tennessee” Esmeralda Lawton is sick of the big city. “Ralda” was betrayed until trust became a theoretical concept. So it’s a dream come true when she buys an old estate, complete with historic cemetery. Okay, she isn’t excited about the cemetery, but she’s strangely drawn to the estate. Atonement, Tennessee, a quaint town, seems like the perfect place for her. However, her new life isn’t quiet. The house is full of antiques. Some have extraordinary properties — a brass bed causes strange dreams, and a mirror shows the truth of who you are. A mysterious neighbor secretly watches over the graveyard. There’s more to him than meets the eye, but what? Then there’s Gwydion, owner of Fae’s Flowers. She stubbornly resists her feelings for him. Ralda suspects that people are drawn to Atonement to, well — atone. She wonders what sins led her there. However, her ancestress made the mistakes. Atonement is home to more than humans. Supernaturals go there too. Some have fallen far. This urban fantasy, seasoned with Celtic mythology, comes with a side-order of mystery. Are you sad to see the “Sookie Stackhouse” stories end? Make a visit to Atonement, Tennessee! If a deal is too good to be true, the truth may turnout to be a bit unnerving as Ralda ultimately discovers when she wins the old Sunhold house in Atonement, Tennessee with a very low bid in an on-line auction. She with her cat, Lilith, take possession of the house and discovers the mechanizations, magic, and, ultimately, the reason she ended up in Atonement, Tennessee. Teagan’s writing is excellent, enabling the reader to form clear images of people, scenery and the goings-on throughout the novel, while sparing the reader the excruciating, unnecessary details authors will sometimes torture their readers with. 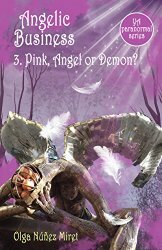 She seamlessly weaves Lilith’s thoughts and reactions to various characters and events as they unfold throughout the novel. Teagan deals with issues of domineering and philandering men, acquiescent women, and the not so nice results without getting on a soapbox about the issues. Serious offenders “atone” for their transgressions, while everyone else deals as best the can with their current lot in life. While Ralda doesn’t want to believe the strange and paranormal experiences she starts having after moving into the Sunhold house are real, she eventually has to face the reality. Atonement, Tennessee is a quick and delightful read. I highly recommend it. My thanks to Teagan for this glimpse into the lives of the inhabitants of the town of Atonement… you will also find wonderful fantasy stories in the form of weekly serials on her blog… I can highly recommend them all. The Christmas promotions have already begun and they really get going after Thanksgiving.. Are you a Writer, Blogger, Photographer, Artist who would like to promote your work.. spaces are going quickly… Read all about it and how to get in touch.